Yes, it's still science-fiction and a bit of fantasy, yet there is a part of me that sees this story as the sweetest reunion of family. Like people torn apart in all the terrible times of our world history, seeing the sadness of parting between Roz the robot and Brightbill, her goose son and the joy of seeing each other after the separation brings tears as much as an adult novel will. After her repairs from the island capture, Roz is reassigned to Hilltop Farm where help is certainly needed by the family there. Roz uses her robotic abilities to do the work assigned, but her "extra" abilities endear her to the two children who live there. They've recently lost their mother, their father is injured and desperately needs help to maintain the farm. Not only does Roz befriend the children, but the dairy cows, too, and others who live there. She becomes fond of all, yet continues to miss her island and especially her dear Brightbill. Through migrating flocks, at last a plan for escape is made. 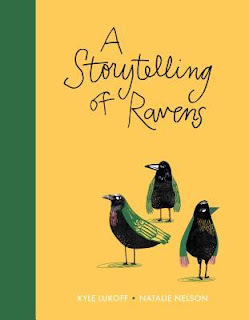 Peter Brown manages just the right amount of tension and heartbreak met with actions of understanding and love in his second story of Roz. How he shows the least of the characters with heart is amazing. I smiled when I saw that Chitchat the squirrel remains, and was saddened that Greybeak, the pigeon was gone. It's a terrific story with just the right number of illustrations that punctuate the actions. A few chapters, a lot of laughs, a fun book for early readers and any who love seeing friends have fun along with working out misunderstandings. “May I use your bathroom?” might be the most hilarious because Chick asks that question, and Fox thought what most of us might think, but Chick takes it to another level, “A PARTY”! There’s humor along with both sweet and tongue-in-cheek words. My granddaughter loved it and we both smiled all the way through. Thanks to Sergio Ruzzier, the text is brief but terrific, and the illustrations are straightforward and colorful. It’s created in a comic book format, easily navigated. 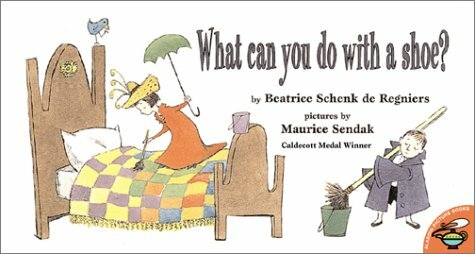 I wanted to be sure to share this wonderful older book (1955) from Beatrice Schenk de Regniers and terrific Maurice Sendak. I can imagine kids taking off with their own ideas after reading this. These two ask the questions, then act out the silly answers, and in rhyme, too. What can you do with a shoe? "You can put it on your ear/on your beery-leery ear; You can put it on your ear, tra-la./Or wear it on your head/Or butter it like bread/Or use apple jam instead, ha ha." They move on to say this is nonsense and put the shoe in its proper place. 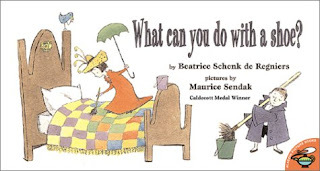 There is more: what can you do with a chair, a hat, a broom and on. It is hilarious and my youngest granddaughter and I laughed and laughed. I hope you can find it and use it to find more items to brainstorm lists of "what can you do with a . . .! 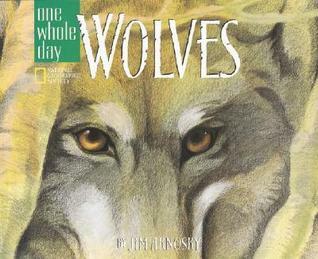 It’s a beautiful introduction to wolves, usually portrayed as scary animals, for reading aloud to young children. This day in the lives of one pack shows them moving, always looking for food, finding a drink, and running on. Simply told with action on the pages. I love these words: “moving like one big wolfy shadow in the dimming light of day”. Arnosky shares that this is the result of a day observing wolves in a preserve in the Delaware Water Gap area of northwestern New Jersey. Tracks fill the endpapers. One more, in mixed-media brightest of colors by Natalie Nelson, Kyle Lukoff takes a step further in describing those collective animal names of which we are fond. No "murder of crows" here, but a delightful assortment of kinds of animals, including a smack of jellyfish and a sloth of bears. Did you know those names? In the extra info, Kyle adds to the story that makes meaning of the collections. For example, the "knot of toads didn't know what to do. Everyone wanted the fly, but not that badly." The illustration shows those long, long tongues in a knot on the way to catch that fly! And, the "exaltation of larks cheered. The Hollow Bones was their favorite band." Quirky interpretations paired with marvelous illustrations make a wonderful book to read aloud, and maybe create some stories from other collective animal names. Next: I didn't start John Green's Turtles All The Way Down, a "must read", but will. 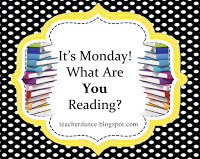 I'm in the midst of another YA book I received from Net Galley, The Strange Fascinations of Noah Hypnotik by David Arnold and I got caught up in a non-fiction story, Irena's Children, A True Story of Courage, by Tilar J. Mazzeo, heart-breaking and inspirational too. I'll review on Goodreads. Fox and Chick sound like a great pair! I've been meaning to get my hands on a copy. I think my early readers will love it. I know they will, Lisa. It's a great book for those young readers. I enjoyed it, too! Thanks! It is terrific, Elisabeth. Hope you enjoy it, too! 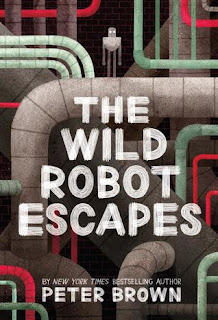 I'm waiting for the audiobook of The Wild Robot Escapes to become available, but have been worried about missing those illustrations. Thanks for the heads up about Fox & Chick. I will try to read that one. Soon your grand babies will like Fox & Chick, Cheriee! Enjoy both! That Roz is someone we probably would love to meet again, right? 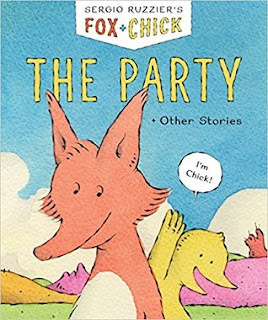 Enjoy Fox and Chick! Oh how I love Peter Brown!! Well, you know I do, too, Jane. Thanks! My youngest read the robot book and liked it; she says she has to read the first book. I'm thankful for her teacher's library that has exposed my child to some amazing reads, ones she would never check out at the library. Her reading has excelled immensely this past year. Love hearing your story, Stefanie and about her teacher. It really helps to have a teacher know and recommend books! Thanks! I just checked out The Wild Robot and can't wait to finish it so that I can get to The Wild Robot Escapes! So many of these sound great. Thanks for sharing these reviews, Linda! You're welcome, Shaye. Hope some of them become favorites! I also loved this sequel to The Wild Robot! I loved The Wild Robot, and have had this sequel on my To Read list for a long time. Definitely need to get to it someday. Have a great week! I understand how we put off books. There are so many wonderful ones coming out and still here waiting. Thanks, Jana. Hope you will get this 2nd one read soon! Hope you have another great week of your vacation! I love hearing about the readers, Crystal. I enjoyed it very much, too, a sweet & happy story! Thanks! The Personal Response to Art - "World Make Way"